So who would have ever thought the “Silver Fox,” former Canadian Prime Minister Brain Mulroney, would have extended an “olive branch” to the Liberal government of Justin Trudeau to assist in renegotiaitng the North American Free Trade Agreement (NAFTA) with President Trump and his administration. No one, of course, with the exception of the former Prime Minister himself! At what point in time will we see this skilled negotiator challenge the USA? It will simply depend on President Trump. He’ll decide when to throw the dice! One has to ask, why would a former Prime Minister, of another political stripe, who negotiated the present Agreement, want to assist the presiding government, a Liberal government, in renegotiating NAFTA? Let us look at the possible reasons. Is it simply because the former Prime Minister has always enjoyed “flattery?” A good ol’ pat on the back of an Irishman goes a long way! Is it because he misses the “limelight” that he once treasured and here it is again? He did say recently, when leaving Parliament Hill from a meeting, it’s…”as if I never left.” Perhaps it all has to do with friendship. His relationship with Prime Minister Justin Trudeau is very good and close. His children are friends of Justin Trudeau (and sibling). Or, is it guilt…for what he may have said about Justin’s Father Pierre, and his Liberal colleagues, all those years ago. Well, that seems to cover all possible reasons for lending a helping hand. But just a minute, what about business, what about JOBS? I thought these would be of primary interest to the former Prime Minister and to all Canadians! How could one ever think differently? Who other than Brian Mulroney would be of benefit to Justin Trudeau’s government. The former Prime Minister had formed a friendship with Donald Trump over the years. They both had residences in Florida and were part of the same community. Even their respective children had established friendships amongst themselves. But this has not always been the way with Canadians, especially the politicians. Canada’s biggest challenge was the many years of “fighting” between the Province of Quebec and the Federal Government over the Constitution. Constitutional reform was never concluded in a satisfactory way. Justin Trudeau’s father, former Prime Minister Pierre Trudeau, was seen as an adversary, according to Mr. Mulroney. 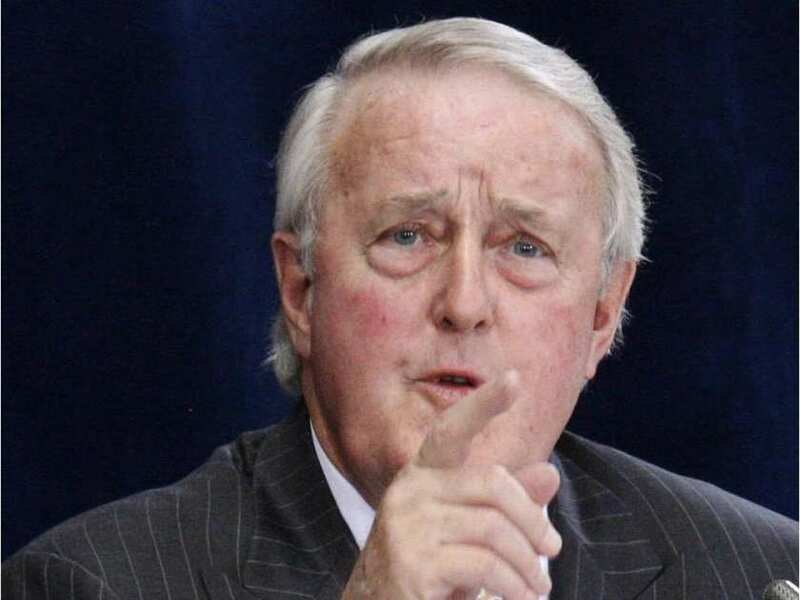 In his typical way, Brian Mulroney extended his hand to the former Prime Minister but was rebuffed. In fact, the elder Trudeau did not have one good word to say about Mr. Mulroney and made this publicly known. Catering to the Quebec nationalists, to win their hearts over, was by no means a realistic approach according to Mr. Trudeau. Recently said by Mr. Mulroney…”that was then, now is now.” Out of national interest, as one would say, “let bygones be bygones.” But on the other hand, the former Prime Minister does not have Pierre Trudeau to contend with but his son Justin. Mr. Mulroney is getting high praise by the Liberals for providing his assistance. Will this translate into votes for the Conservative Party come next election. Should the renegotiation of NAFTA be successful and beneficial to Canada, will the Liberals remind the electorate who in fact was responsible for such undertaking or will they simply take the credit for its success.